Satan is working to uncover the sins of bishops so that they will be visible and a cause of scandal, Pope Francis said during his homily at Mass on Tuesday. “This is good to remember, in these times in which it seems that the Great Accuser has been unchained and is attacking bishops. True, we are all sinners, we bishops. He tries to uncover the sins, so they are visible, in order to scandalize the people. Ezekiel 28 is known for its double prophecies against the rulers of the ancient port of Tyre in modern day Lebanon. The first ten verses concern the “prince [nagid] of Tyre” and speak of his fate by God’s judgment. But then comes a lamentation against the “king of Tyre” (Ezek. 28:11-19). The description of this king is curious to say the least. God says that he was the sum of perfection or proportion, wise and utterly beautiful (28:12. Cf. Ezek. 27:3). This seems an over the top way to speak about an earthly ruler, but perhaps this is mere hyperbole? Tyre, after all, was an important city in Phoenicia which rose to prominence in the time of Rameses II and was defeated by Nebuchadnezzar in 573 B.C.1 Its king would have been impressive enough. Ezekiel surely would have had the Tyrean court in mind. Michael Heiser: We have an enemy—and if we’re going to stand firm against him, we need to know whom we’re up against. However, there’s a lot of devil folklore out there. It can be difficult to distinguish traditions from what the Bible actually says about Satan. So, let’s take a look at some biblical facts about the devil. The Christ has been commissioned and anointed with power from the Spirit. His ministry has begun. Immediately, He enters into single combat with His own creation, the chief of all angels, Satan. As His ministry begins, we’ll examine two passages which shed light on Christ and the doctrine of the Trinity. The Spirit immediately drove him into the wilderness. He was in the wilderness forty days, enduring temptations from Satan. He was with wild animals, and angels were ministering to his needs (Mark 1:12-13). The Scriptures give but veiled glimpses of his origin and home, for their purpose is more expressly to reveal God in His character; and Christ as the Redeemer of men; with the history of the redeemed from the fall of Adam, their salvation through the Cross, and their eternal destiny, when Christ shall have “abolished all rule and all authority and power” (1 Cor. 15:24), contrary to the reign of God, and God Himself shall be All in all. Our Lord says of Satan, “he was a murderer from the beginning” ( John 8:44) and John says of him that he “sinneth from the beginning” (1 John 3:8). "You travel in circles that are so, so removed from mainstream America that you are appalled that anybody would believe in the Devil!" Read more about "You travel in circles that are so, so removed from mainstream America that you are appalled that anybody would believe in the Devil!" Read more about Can Satan be Saved? Reposted, with permission, from Grahams of Montrose. Read Part One. Having introduced this series as a guide to staving off those pesky demons, we continue by noting the divine reconnaissance we have from Ephesians 6:11-13. It may be surprising to note that the first thing Paul explains in Ephesians 6 is that we are at war. It is dangerous to enter into combat without knowing the enemy, but God reveals everything that we need to know about the enemy in Scripture. The Apostle Paul begins his explanation of Spiritual warfare by giving a command to put on the full armor of God (Eph. 6:11, 13). Verses 11-12 give the warrant for this command. The reason we need to put on God’s armor is because we are in a war with Satan and demonic powers whether we acknowledge it or not. The Devil is chief among the demonic powers in the universe (Eph. 6:11). He is described in Scripture as the ruler of the world (John 12:31, 14:30, 16:11). “[T]he whole world lies in the power of the evil one,” notes the apostle John (1 John 5:19). He rules over the domain of darkness (Col. 1:13), being the prince of the power of the air (Eph 2:2). In the beginning, he led a rebellion in heaven, taking with him one-third of the angelic beings God had created (Rev. 12:4, 7-10). At the end of the rebellion he was cast down to earth (cf. Luke 10:17-18). 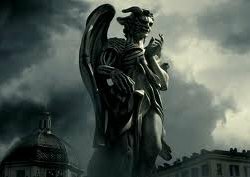 Like the angels who fell with him, Satan deceived the human race so that the human race would follow him in rebellion (Gen 3). Now, he runs like a roaring lion to destroy God’s people (1 Pet 5:9; cf. Job 1-2). Because of this, it is reasonable to conclude that Satan is a powerful being who garners respect and authority over the fallen angels.